The new year is almost upon us and it is important to note that trends and behaviors aren’t committed to calendar years, time is not their master. As we move forward we should be excited and ready for what awaits us in 2018, some of the most interesting scenarios are emerging for brands since 1998 when e-commerce really started to come into its own as a reputable customer solution. Here are five trends and behaviors that will impact brands in 2018. 1. 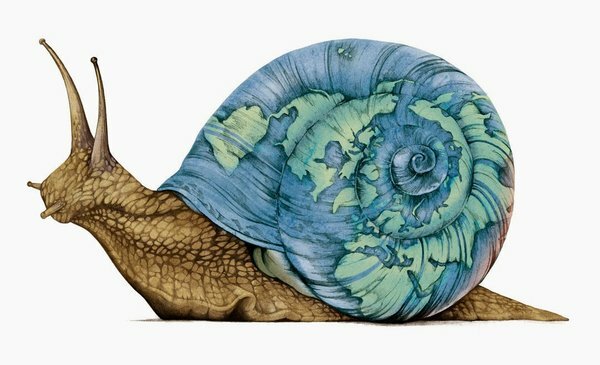 The Slow Social Movement: For the past few years and in many industries we have witnessed “slow” movements. Slow movements advocate a cultural shift toward slowing down life’s pace. A move from a Fear of Missing Out (FOMO) to (JOMO) the Joy Of Missing Out. There are dozens of subcultures in this movement: Slow food, Slow living, Slow Travel and even Slow Design. The Slow Movement is a cultural revolution against the notion that faster is always better. This philosophy isn’t about doing things at a snail’s pace, instead, it is about seeking to do things at the right speed. Social media brands are now facing the pushback of this cultural shift. For the past decade, Facebook, Twitter and Google treated consumers like a real-time moments interface. They, along with the brands that depend on these platforms for communication, assumed all users would follow suit. But now there is a pivot occurring brought on by many of the tech platforms themselves. Many users, upset about wasting hours on platforms with nothing to show for it and fatigued by over-exposure to division and noise in the world are now seeking to find new experiences away from their screens. This shift is not a total abandonment of social platforms but more about using these platforms for what they were originally intended: true connection and community and learning. For brands this means way less content and more emphasis on reciprocity. Embracing the slow social movement requires brands to dismiss the idea that social networks are strictly for ad targeting. 2. Music Integration Reaches Epic Proportions: Music has always been massive but it’s becoming its own language for brands to connect. Tech brands were the first to recognize this but now many retailers, consumer packaged goods and even financial services brands do. The right music is key. If you’re trying to connect with younger audiences, using a song from The Who is not the way to foster connection as much as music from Major Lazer. Many communications in 2018 will not even include copy or words but simply soundscapes. The infamous mixtape, once prominently used by DJs to showcase their craft and popularize them among subcultures of fans, will be utilized even more by brands to show what they stand for via the international language of music. 3. User Generated Content Becomes a Brand’s New Creative: Many brands have spent the past five years creating content and have gained nothing in return. They haven’t been able to track if their expensive investments have led to any returns. They keep over-producing content that is over-branded, corporate and easily skippable with a thumb swipe. In contrast, influencers have been extremely good at producing content for their audience and are bypassing brand’s when it comes to attention economics. Smarter brands are realizing this and instead of continuing to crank out content that no one engages with or is difficult to track in terms of influencing attention, they are collaborating more with influencers or enlisting their customers to produce user generated content that tugs more at the heartstrings of people. In the past, brand marketers would have rebelled stating, “But this isn’t our brand, it doesn’t follow our rigid voice!” Now those playbooks and guidelines are being abandoned by brands that understand that they will have to shift and pivot constantly to stay relevant. They cannot hold onto things that they may care about, but customers don’t: logos, brand colors, brand voice and petty image debates. 4. Every Discussion About New Technology for New Technology’s Sake Is an Ethical One: Many brands are talking about how they will use Artificial Intelligence, but customers are uncomfortable about this new landscape. Therefore, instead of alarming those that are most important to their future, brands must explain how Artificial Intelligence will enhance their lives. There is already much discussion if technology improves our lives when it comes to communication and marketing. This debate will flow over into areas like AI, Voice Search, Augmented Reality, Crypto Currency and Automation. For example, brands can’t take a position of believing in their people at the same time they automate people out of their production process. This will be one of the great debates in 2018. Be sure to align your tech decisions with your values. 5. The Repeal of Net Neutrality Could Kill Some Brands and Shift Customer Allegiance: In the discussion around net neutrality, there is little talk about what this scenario could do to digital brands and products like Google, Netflix, Hulu, Facebook, Bing, Amazon, etc. The only discussion is around ISPs having more control over how they package the net for customer consumption. But if they act as a gateway and require customers to have higher tiered packages for faster speed internet access, this could lead to customers abandoning certain digital service due to ease of use. For example, let’s say your ISP has Brand X which is an ecommerce brand in all of its access packages but not Brand Y. Brand Y requires the higher tiered package that is $150 per month. What happens to Brand Y? In this era of passive loyalty does Brand Y go away due to non-regulation of what was once an equal internet? Brands not thinking about this or many of the hundreds of other scenarios the repeal of net neutrality could do to change the web landscape need to think about what this turbulence means for them and their continued existence.